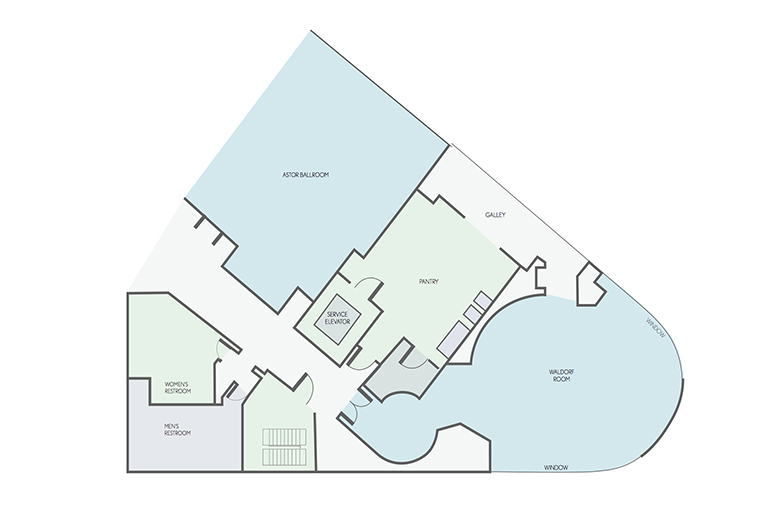 With 5,600 sq. 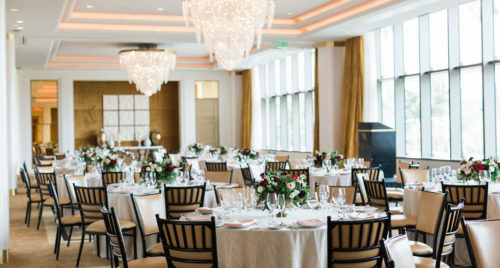 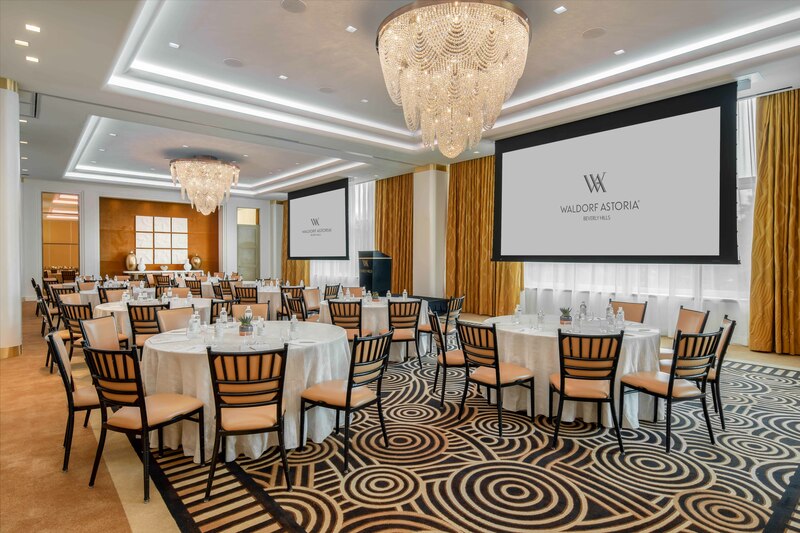 ft. meeting and banquet space including the luxurious Astor Ballroom, which can seat up to 300 guests; and the Waldorf Room with a maximum capacity of 50 guests. 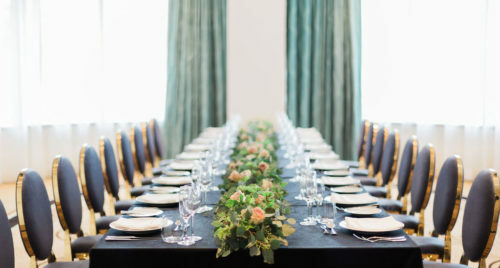 Have as much or little space as you need, as our ballroom can be divided into smaller areas to suit your needs. 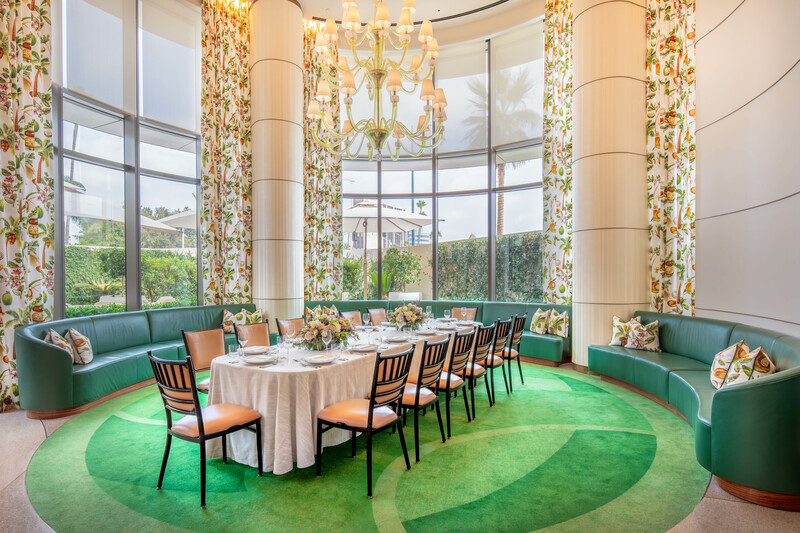 All of our event spaces are elegantly appointed boasting timeless décor and natural daylight. 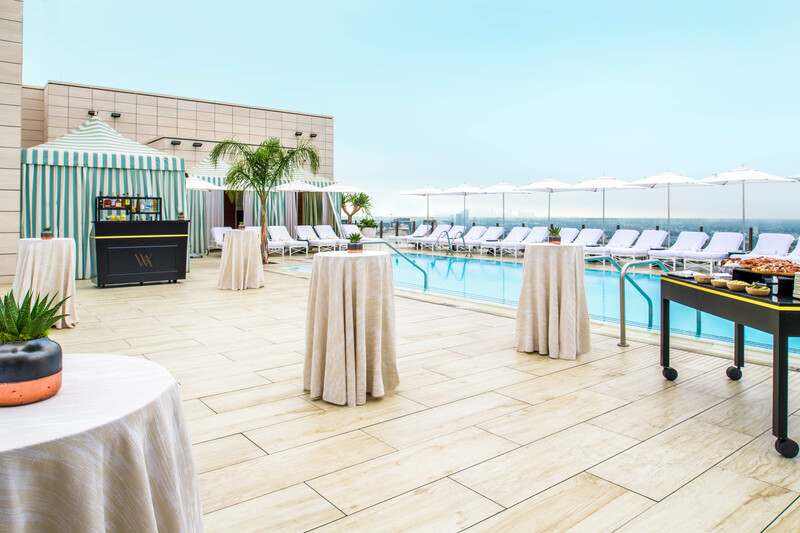 Another special venue is our outdoor rooftop promenade and pool – ideal for coffee breaks, cocktail receptions, and entertainment. 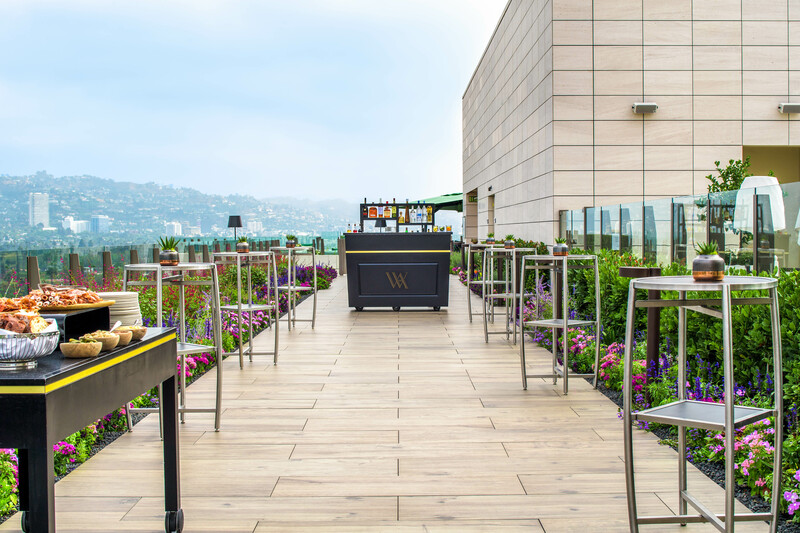 Enjoy a spectacular alfresco occasion on the Beverly Hills hotel’s exceptionally landscaped rooftop and admire the unparalleled, panoramic skyline views of Los Angeles. 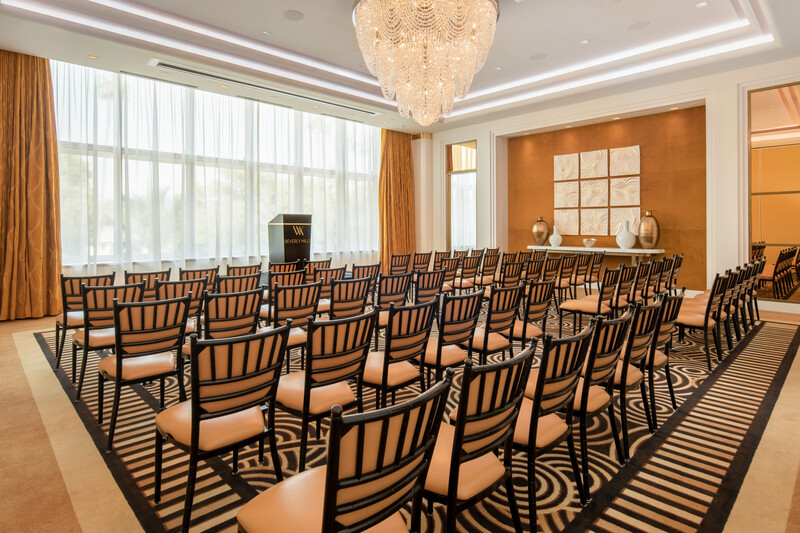 All meeting venues offer an advanced technology infrastructure. 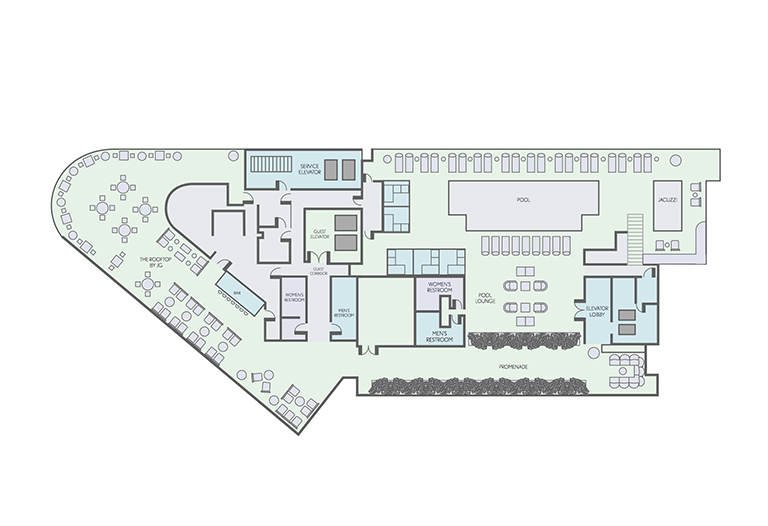 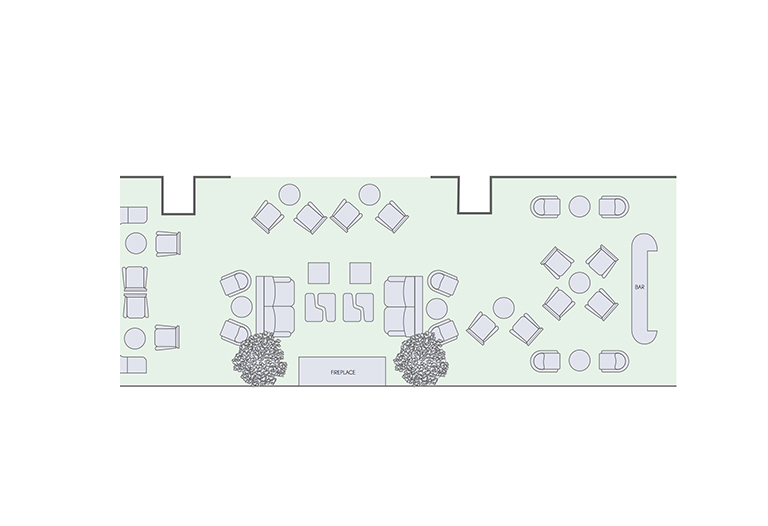 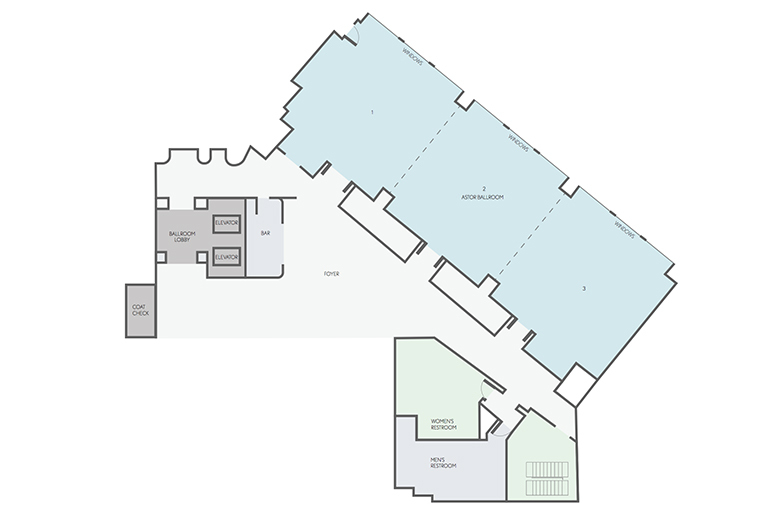 Explore all of our different floor plans to find the perfect space for your next event.